our bespoke wedding floristry service, or the Petalon Wedding Package. Some people want their wedding floristry a little simpler. For these people we offer a floristry package with particular products in four different colour schemes. Whether it’s a bridesmaid squad of seven or one special sister, centrepieces for a formal dinner or a collection of bud vases to dot through a buffet, pick and choose what works for you. 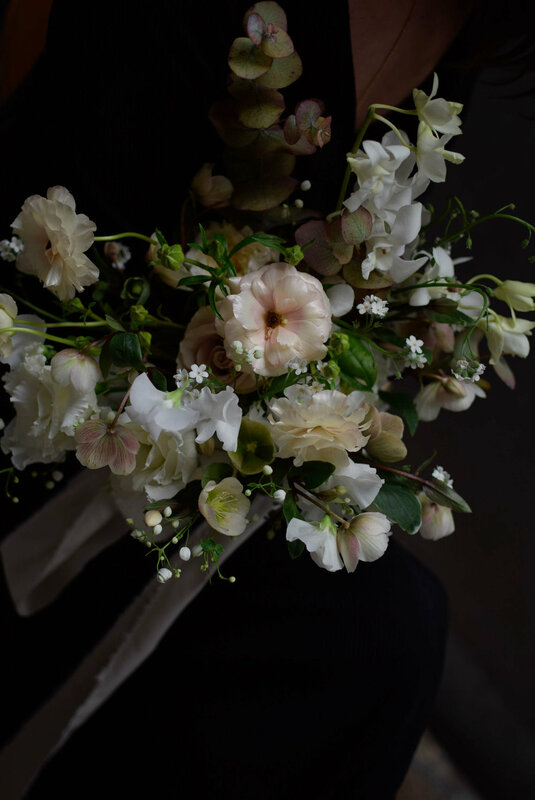 For some, wedding floristry is a deeply personal process. For these people we take on a limited number of totally bespoke weddings each year to make sure we are able to give every one we do our absolute all. We do this based on those that are most in keeping with our style of floristry and where we feel the couple are able to put their trust in us. A compromise on either of these things doesn't allow us to do the job your big day deserves. We have a distinctive style which we feel is best described by the images below. We work closely with seasonal availability to make sure your wedding flowers are the most beautiful they can possibly be. If you think we would be a good fit and you'd like to find out what Petalon can do for your wedding, please fill out our enquiry form. 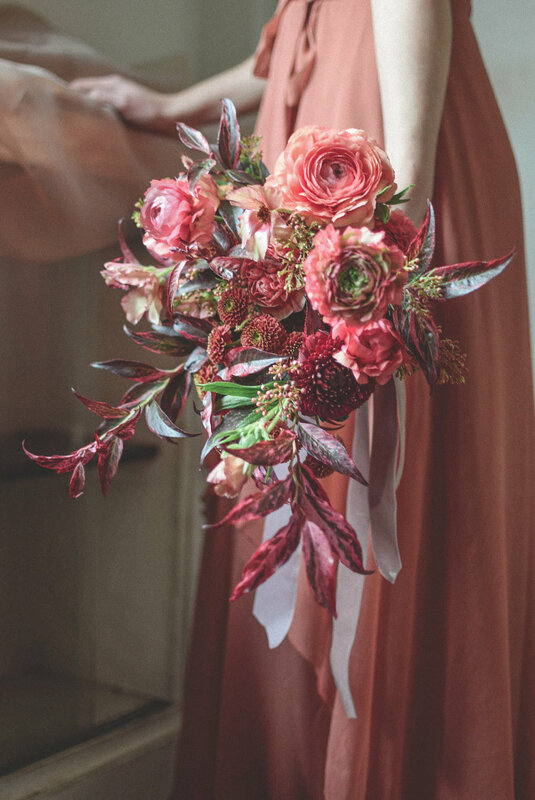 If you’ve made it this far down the page you must be really interested so it’s probably a good time to talk about something else that’s important to us when it comes to wedding floristry - control. There are excellent florists out there who only do weddings and who are malleable enough in their style to suit whatever is asked of them. We’re not those guys. We work best when given the freedom to do what we do best in the style that we do it. This isn’t to say that we don’t listen The whole process is something we do alongside you, but once we’ve agreed on the things you’d like us to create and the palette with which you’d like us to do it you will need to stand back and let us do our thing. Micro-management never improved a creative process and floristry is no different. We’ve written about this at greater length in our blog, but the long and short of it is that if you can’t trust us to do our thing you may be better off using someone else.